As online retail skyrockets, the need for warehouse spacing is booming. 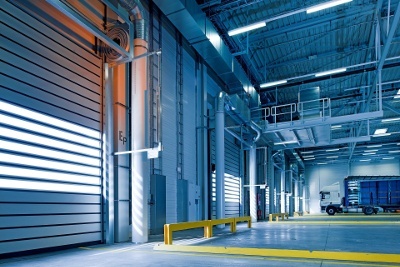 As demand for storage increases drastically, warehouse space simply can’t keep up with market needs – something which opens up opportunities for industry growth and modernization. A recent report from CBRE highlights the fact that although one billion sq. ft. of modern warehouse space was built over the past 10 years across the US, this accounts for only 11% of the country’s total warehouse inventory (9.1 billion sq. ft.), which is becoming increasingly obsolete at an average age of 34 years. Given the lack of modern warehouse space and the rise of e-commerce, there’s a huge opportunity to develop new warehouses and rebuild old ones to ensure they meet modern requirements. The need for fast moving last-mile deliveries is putting a lot of pressure on real estate developers to build warehouses that are close to densely populated areas – where land is either unavailable or too expensive for them to make much of a profit. Warehouse location is critical when it comes to last-mile deliveries since it determines the speed of delivery. Warehouse developers will have to get creative and look for innovative ways to meet demand. For example, vertical and stack warehousing is popular in cities like Tokyo and Hong Kong. Another alternative could be reusing obsolete office buildings or malls by repurposing them towards last-mile delivery operations. The need for more and better warehousing capabilities also brings opportunities, not just headaches. The projected growth of the industry is making the warehousing industry in itself an appealing area to invest in. As a result, the industrial real estate market is booming, with acquisitions hitting $20.9 billion in Q1, an increase of 34%. Earlier this month, Bloomberg reported how equity firm Blackstone Group is leveraging the opportunity. The firm’s real estate fund just bought Gramercy Property Trust, a warehouse company, for $7.6 billion. In March, it snapped up Canyon Industrial Portfolio for $1.8 billion, and in January it bought a Canadian warehouse operator for $1.9 billion. This means Blackstone has acquired more than 580 million square feet of industrial space across the US since 2010. According to FastCo their rationale is simple: A bet on warehouse owners and operators is a bet on e-commerce’s growing dominance. This trend to invest in the development of more and better urban warehouses is also significant in Europe. This week, developer Panattoni has revealed it plans to invest €1.2 billion in urban logistics projects across Europe, dedicated to so-called last-mile delivery, over the next three years. With revenues on retail e-commerce sales worldwide projected to grow to 4.88 trillion USD by 2021, warehouse spacing will play an increasingly crucial role.